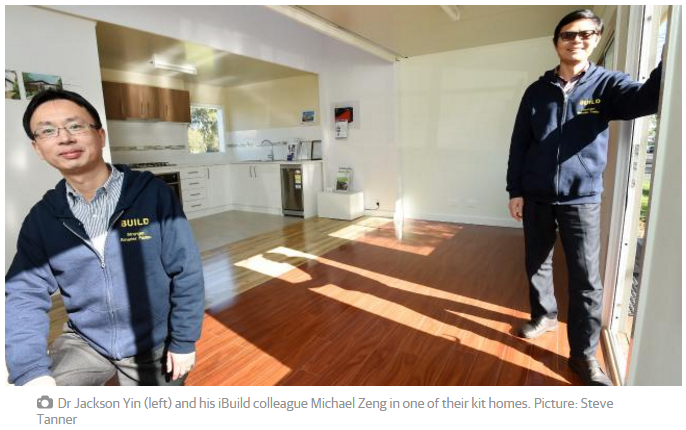 iBuild kit homes have recently attracted quite some kudos from the media. 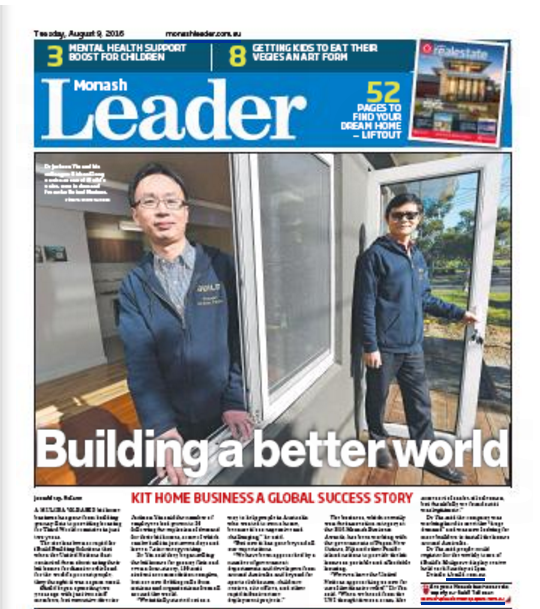 The Monash Leader newspaper has featured iBuild on its front page in a news story entitled "Building a better world - Kit Home Business A Global Success Story". 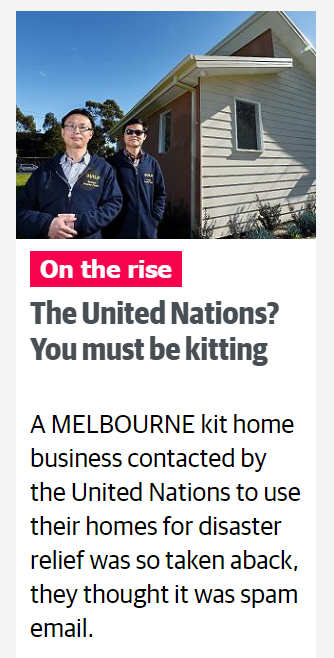 The Herald Sun newspaper has also run a news story about iBuild's popular kit homes with a light-hearted title: "The United Nations? You must be kitting". 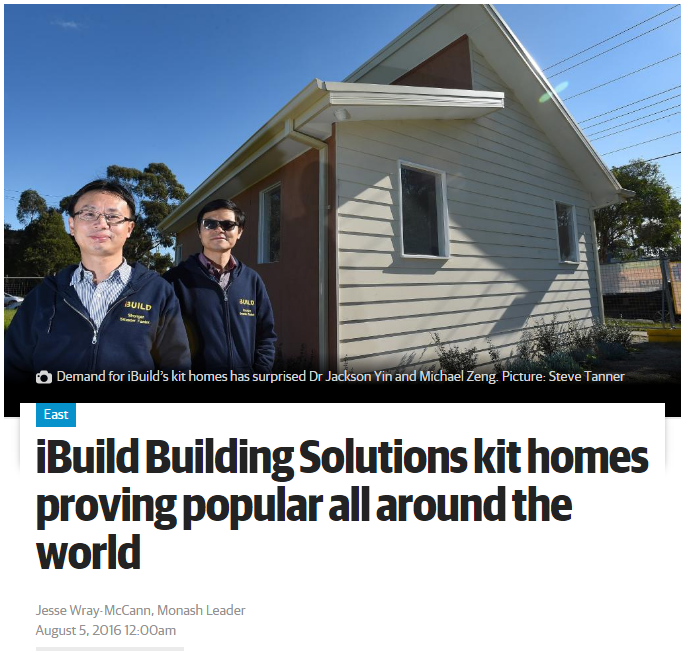 The news story highlights the rapid growth of iBuild's kit home business. It also reveals that iBuild has been approached by a number of government departments and developers from around Australia and beyond for sports clubhouses, child care centres, site offices, and other rapid infrastructure deployment projects. iBuild is currently working hard to meet the huge demand and is now looking for more builders to install the homes for our clients around Australia and beyond.